Deadpool just hit the theater, but already, all anybody can talk about is the sequel. The modestly budgeted movie, for a superhero flick, has been a critical and box office success and the follow up is already being planned. The first movie informed us of their plan to bring Cable in for Deadpool 2, but according to the writers, we may not see much more than that. Turning the next film into a major crossover event is not what they see as a recipe for success. Rhett Reese and Paul Wernick penned the script for Deadpool, and are already being asked what they plan to do to make Deadpool 2 even bigger and better than the original. Overall the two have talked more about what they’re not going to do. Making the movie a bigger budget action spectacular, just because they would surely be allowed to do so, doesn’t appeal to them. They have said they’re not going to go spending money just because they can. That apparently includes spending lots of money on actors as well. Reese told Indiewire that Marvel had the right idea, in building the character more on their own, before throwing in a bunch of other players for him to team up with. If you look at the Iron Man model, they had two Iron Man [movies] before they had an Avengers, and if left up to us, I think that would be a very prudent path. Of course, while Iron Man 2 was certainly a movie that focused on Tony Stark, it wasn’t entirely above introducing new characters. It was the first place where we saw Black Widow, and was also where we saw James Rhodes become War Machine. At the very least, we expect Deadpool 2 will make good on their word to introduce longtime frenemy of Deadpool, Cable, and a report from earlier today has stated that the character of Domino is also on the table as a potential new member of the team. 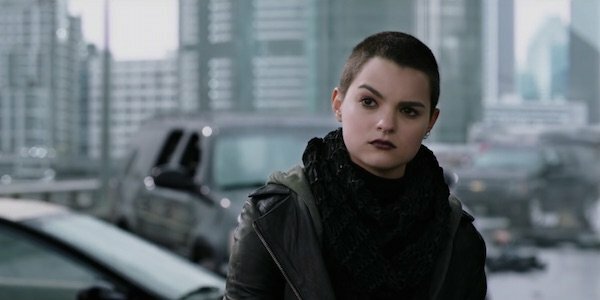 If we are going to see both Cable and Domino in Deadpool 2 and the writers truly aren’t looking to turn the sequel into an X-Force movie, then we likely won’t see any additional characters, at least not major ones. Still, every Marvel movie was a step toward the eventual Avengers crossover, so if Rhett Reese and Paul Wernick are truly looking to Marvel Studios for inspiration, it may mean that some sort of major X-Men event is still likely for some time down the road. Are you happy to see the Deadpool creative team take its time, or would you rather see them push the boundaries of what they can get away with?